I think a lot of the time we can downplay the things that we achieve or the activities that we are into. Even if you just love taking your dog on long walks or you love to read, that is still a passion. Just because it isn't as "interesting" as loving to skydive or travelling the world on a boat doesn't mean they are less valid. So embrace the things you are into, no matter how small they may seem to you. 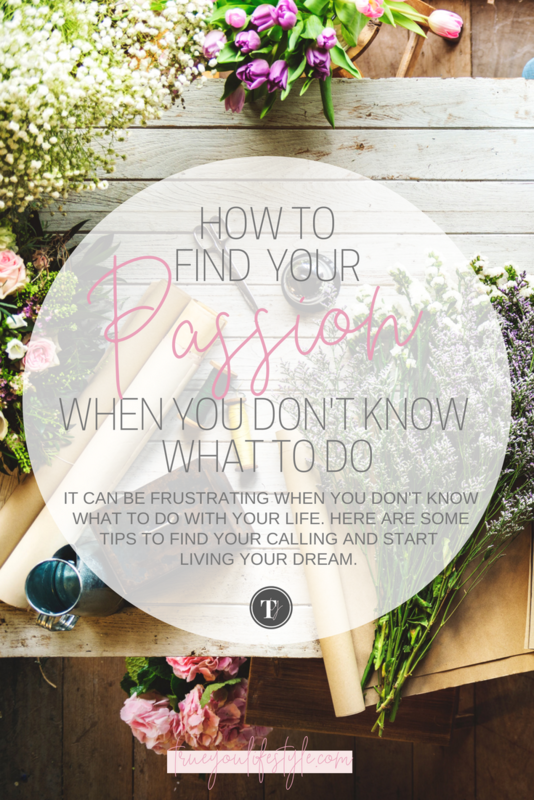 And if you are looking into making your passion your career there are so many ways that you can monetise the simpler passions. You could start a dog walking business or proofreading upcoming books. The possibilities are always there you just have to embrace them and realise your potential. If you really are not certain about what you want to do then it is easy to sit there and try and think all whilst getting frustrated with yourself. But trying to think up ideas from thin air is almost impossible. Instead, try it. Just think of something you would like to try and just go for it. Want to try piano lessons? Just book a lesson or purchase an online course and give it a go. What have you got to lose? You might not like it but then at least you can cross that off your list and move onto the next thing. Instead of sitting there and thinking about it for months without taking action. You will never know if you love something until you finally try it. All those artists, dancers, surfers, crafters, writers you are jealous of because they have found their "thing"? They have only found it because they tried it. They all did something for the first time and then carried on. If they had just sat thinking about what to do like you might be then they wouldn't be living their dream right now either. So take action and broaden your horizons, you could make friends, new memories and ultimately a new passion. The more you stress out about finding something the less likely you are to organically discover something you love. You will get frustrated if you feel like you are on the clock. Remember how stressful it was to do your homework the night before it was due? But your life’s purpose does not have a timescale so stop giving it one in your mind. Remember that you have plenty of time, even if you have tried 10 different things that didn't quite tickle your fancy you have years and years worth of opportunities ahead of you. You are never too old to start something so use the time that you do have to keep trying things, learning from people and growing as a person. Once you stop putting a time limit on finding your passion, the pressure will ease off and you will be able to start taking joy in the process. You can then try things you are not 100% certain on because you know you have plenty of time to try everything you want to do. So get out of the mindset that life is passing you by and realise you have plenty of years on this earth to start figuring out what you want to do. Vera Wang decided she wanted to be a designer at age 40. Samuel L Jackson didn't get his big break until he was 43. Julia Child worked in advertising before she released her cookbook aged 50. And you consider these people successful right? Exactly. They are living their dreams and still had 20-30 working years ahead of them. That’s still a long time. As with everything we need to take a proactive approach. There is no point just thinking about what something might be like when we can just go out there and do it or even dip your toe in by connecting to others that do it. So say you want to start dancing lessons. Find someone you know who dances and ask them about it. Build a relationship with them, maybe then when you go to the lesson with them they can help you feel less vulnerable. Passion is contagious. If you open yourself up to it, when you are talking to this person their passion towards this hobby will overflow into you as well. On the other hand, they can give you a realistic idea of the hobby. Maybe there are downsides that you didn't think of that really wouldn't work for you. Maybe you actually end up uninterested when they are telling you about it. There are so many ways you can learn from these people. So get connecting and start exploring what is out there. These are all fear based issues you have. What is actually so scary about this? Do you think people will judge you or you don’t want to put the work in? I know it’s hard not to care what people think, but at the end of the day, people worry more about themselves than they will about what you are doing. And even if they did judge and sniggered at you behind your back then that says so much about them and nothing about you. So block out these fears you have because when you are old and grey, no longer caring what people think you will regret not having done it. Because that is when you will realise it just does not matter and it never did. So try at least one thing that scares you. Get out of your comfort zone and realise the excitement that will be behind realising this passion. What potential passion are you going to explore first?